Welcome back to the El Charrito blog! We hope that you are enjoying your summer and are getting plenty of time out in the sun and eating delicious food. Be sure to come by our authentic Mexican restaurant in Monterey and grab a delicious burrito — we were just voted the best burrito in the county! Also be sure to enjoy a refreshing bowl of guacamole and an agua fresca. Summer and Mexican food go together like chips and salsa. Come by El Charrito for food that will delight the senses and refresh the soul. Today, we are going to talk about one of our favorite foods, guacamole. 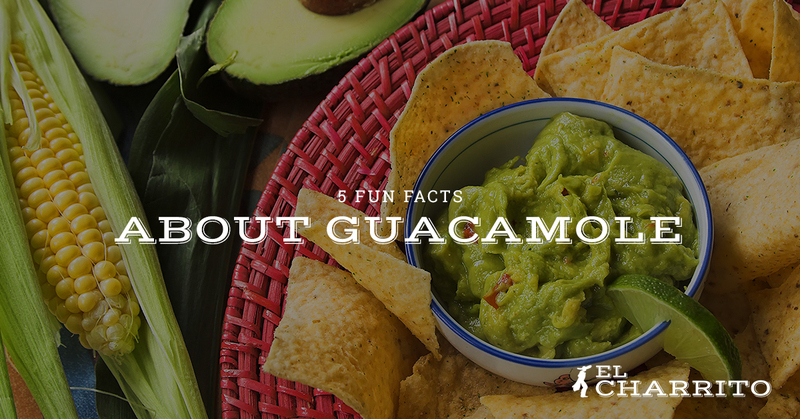 If you love guacamole as much as we do, stay tuned to learn more about one of the best foods ever created in the kitchen. According to a Mental Floss article, we owe the Aztecs a big thank you, because they are credited with the invention of the flavorful, craveable dish called guacamole. When the Spaniards came to the Americas they became acquainted with ahuaca-molli or what we know today as guacamole. Molli means “mashed or pureed” and ahuaca refers to the testical because the avocado reminded them of testicles. The Guinness World Record for the biggest batch of guacamole is held by a wholesaler in Mexico. The event took place in Concepción de Buenos Aires, Jalisco, México and took the work of 815 people to make. Over 25,200 avocados, 3,500 tomatoes, and 3,000 lemons were used to create over 3 tons of guacamole. You could have literally bathed in guacamole! If you haven’t heard, avocados are very good for you. They have such nutrients as fiber, B vitamins, vitamin K, vitamin E, potassium, saturated fat, monounsaturated fat and some phytosterols. Eating an avocado is a healthy choice, so next time you decide to get chips and guacamole, pat yourself on the back — you’re doing something good for your body. If you’ve made your own guacamole at home or enjoyed the delightful avocado in other forms, you have probably enjoyed the Hass avocado. However, from 1914 to 1997, Hass avocados were banned in the U.S. by the USDA. The fear behind the ban was of the infiltration of lethal pests into the U.S. that would affect crops grown domestically. We love the Hass avocado and are so glad it is no longer banned. That wraps up this blog post. Stay tuned to learn about our favorite food and be sure to stop into our authentic Mexican food restaurant in Monterey.